The name “Countess Báthory of Hungary” stirs up a vast array of cruel images in the minds of anyone who is familiar with the historic figure, but none so prominent as the image of a regal woman rising out of a pool full of blood like something out of a blockbuster horror movie. For those unfamiliar with Countess Báthory, her story is what happens when wealth and psychopathic tendencies cross. She was a title-holder in the kingdom of Hungary in the 16th and 17th century who obtained her land through marriage. Encyclopedia Britannica explains that, “[i]n 1575 she married Count Ferencz Nádasdy, a member of another powerful Hungarian family, and subsequently moved to Castle Čachtice, a wedding gift from the Nádasdy family.” Thanks to her position, she was tended to by a wide variety of servants, and these servants were the ones to suffer from her murderous urges. As the story goes, Countess Báthory was a serial killer, and if witnesses are to be believed, she is one of the most prolific ones in all of history. 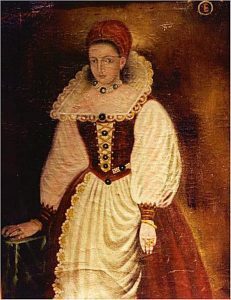 A portrait of the Countess Elizabeth Bathory, painted by an unknown artist in the 16th century. Taken from Wikimedia Commons. Báthory fixated on the young women in her service and proceeded to murder them in a number of fashions. The Telegraph states that, “Báthory watched as girls were beaten, bitten, burned and plunged into ice baths, sometimes wielding the red-hot pokers, tongs and needles herself. She was said to whip girls with nettles; smear them with honey and leave them to the mercy of ants and wasps; light explosives attached to their limbs: and even, it was claimed, cook and eat their flesh.” With her position and lands she had a steady stream of new women to take their place. Consider that these events were taking place in the age of feudalism, where lords were given a great amount of leeway in how they treated the peasants they employed and took care of. Even with her supposed depravity, it took many years before she finally was finally investigated by one of King Mattias II’s men. Encyclopedia Britannica says that, “[a]fter Nádasdy’s death in 1604, rumours of Báthory’s cruelty began to surface. Though previous accounts of the murder of peasant women had apparently been ignored, the claims in 1609 that she had slain women from noble families attracted attention. Her cousin, György Thurzó, count palatine of Hungary, was ordered by Matthias, then king of Hungary, to investigate. The count palatine determined, after taking depositions from people living in the area surrounding her estate, that Báthory had tortured and killed more than 600 girls with the assistance of her servants. On December 30, 1609, Báthory and her servants were arrested.” Witnesses spoke of acts that gave rise to Báthory’s popular image of having vampiric tendencies. As the Telegraph illustrates, “[o]ne of her many nicknames is the Bloody Countess, [ . . . and her] victims were her virgin maidservants in whose blood, legend has it, Báthory bathed as part of a ghoulish youth-preserving ritual.” A rich woman that was a part of high society living in a castle that preyed on the lowly people underneath her and used their blood in an attempt to live forever? She has the hallmarks of a real-life vampire surrounding her. There are several valid criticisms that suggest that Báthory was the victim of a conspiracy. As Encyclopedia Britannica states, “[w]hile documents from Báthory’s trial supported the accusations made against her, modern scholarship has questioned the veracity of the allegations. Báthory was a powerful woman, made more so by her control of Nádasdy’s holdings after his death. The fact that a large debt owed by Matthias to Báthory was canceled by her family in exchange for permitting them to manage her captivity suggests that the acts attributed to her were politically motivated slander that allowed relatives to appropriate her lands.” The Telegraph itself states that, “[i]t was nearly a century before the stories of cosmetic blood-bathing surfaced, though they may have been the subject of local gossip until then. They were first published by Catholic propagandists eager to discredit noble Protestants such as Báthory.” The blasphemous tint in the act would not have been ignored by the faithful, as imbibing the blood of Christ (transformed from wine in the rite of communion) is an important part of the Catholic mass and a step towards eternal life with God in Catholicism. Whether or not these stories are true, this blood-bathing imagery has continued to linger in the public consciousness well past the time of a Europe ruled by Catholic thought. The coat of arms of Eilzabeth Báthory and her family. Author of this rendition of the crest is Madboy74 and the image is sourced from Wikimedia Commons. There is an intriguing idea that extends out into the culture around Báthory. Whether these accounts of her acts were true or fictional, the Countess was not the only person in Europe in the 16th century that was purported to use the blood of others for its supposed medicinal purposes. Examination of the surrounding medical practices of the time show that, if the stories are true, she is only notable in the excess in which she applied the practice to herself and the methods that she used in order to obtain her fresh stocks of blood. If this theory is followed, then that bloodbath does not stand as just a singular event in history, but also a brutal window into a ghoulish period of European medicine. As next week’s article will show, Countess Báthory is not just the vampiress of Hungary if these stories are true, but the extreme product of a Europe that harvested bodies and blood for their own medicinal purposes. Daniel R. Alarcon is a writer and a graduate of the University of Tampa that is currently living in the United States. You can find some of his previous articles on The Mary Sue and other websites. With over a decade of writing experience, Daniel is currently pursuing a career as an author.